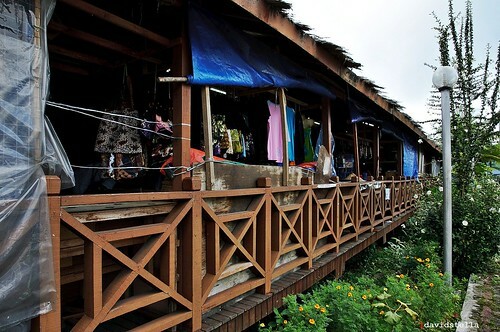 Nabalu town | Kota Kinabalu, People and Places, Street Photography. 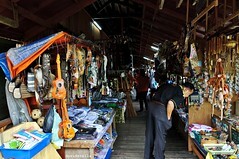 A souvenir shop at Pekan Nabalu. Cowboy hats.. but we have very <i>few</i> horses here, plenty of buffaloes. 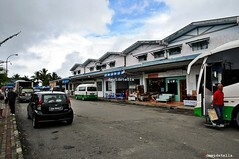 Nabalu town is 13km from the entrance to Kinabalu National Park, and 73km from center of Kota Kinabalu city. 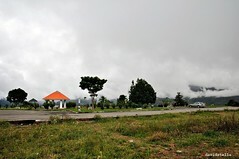 It has grown from a popular roadside stop-over for souvenirs to the present tourist village. 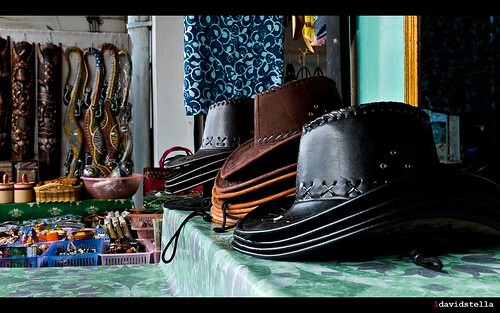 Among the souvenirs here, you will find some spices, honey in bottles, packets of local red/black rice and handicrafts, both commercial and locally made. There are also stalls selling food and beverages. The best souvenir, perhaps, is a beautiful view of Mt Kinabalu, provided you are lucky to have a clear morning. It is usually cloudy by late morning. A viewing deck and pavilions for visitors have been constructed. I was lucky to have perfect weather when I visited Nabalu during the Chinese New Year break (late february 2010). 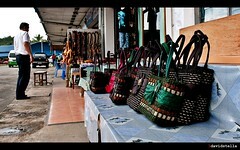 Handicrafts stalls at Nabalu town. Viewing deck and pavilions. On sunny days, an unobstructed view of the beautiful Mt Kinabalu can be seen.